We already have done many interesting and fun things as we’ve started this new year together. And as we get into more “real” learning (yes, I know all learning is important and in many ways the “soft” skills might be more important, but I digress….had to call it something! ), I am looking for ways to continue to stress the themes we’ve started with: everyone is valuable, we are different and we are the same, we support each other, we are all starting in different places and that’s ok–we’re all growing and learning together! So when I saw this unit shared by our friend and AMAZING coach (and I don’t use the word AMAZING lightly) Amy Wessel, I knew I needed to find a way to use it–it matched up with all of those goals I already had in place. Plus it was interesting and fun and we LOVE those things! Ok, so I didn’t follow the unit completely as written, but I did utilize the book list as well as the ideas for “homework” to use with families. As you’ve already seen from our #classroombookaday tweets and posts, we are a class the LOVES to read and often bases lessons/discussions on a good book. 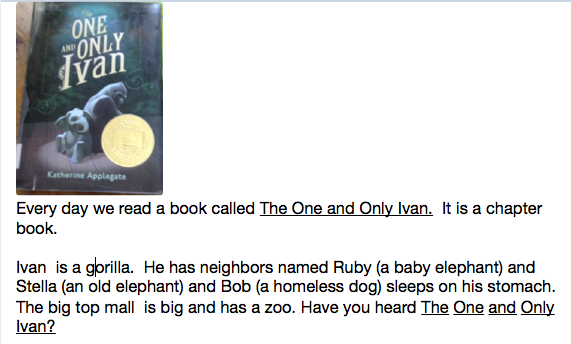 So of course as we started to talk about our names, I went to the book list shared by Ms. Wessel, as well as some others I had found on my own at my library (which is another AMAZING thing!). Together we read Hello, My Name is Octicorn (which isn’t so much about names as it is about accepting those who are different than us and making new friends but has NAME in the name LOL) and Thunder Boy, Jr. (which was surprisingly about a boy who has the same name as his dad and wanted his OWN name that told about him). Then, since I wanted them to get into those iPads that had shown up in our room, we went on a little letter hunt around our room. They were supposed to find all the letters of their name, take pictures of them, then crop the images and upload them into Notability to build their name (which is similar to the directions from our Outdoor Adventure Writing Outdoor Adventure Writing from the other day, too). 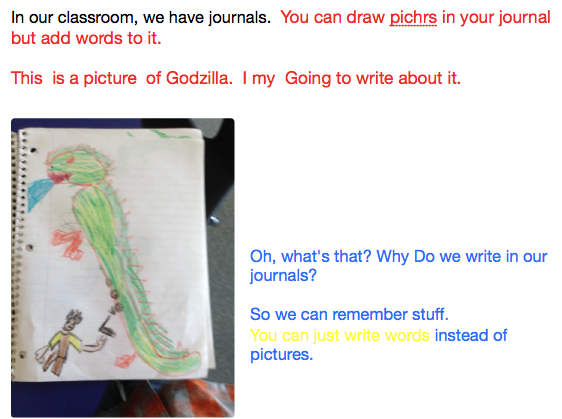 THEN they were to take a screenshot of that image and later send it to me in eBackpack so I could see it (and share it here!). Oh, and they were supposed to take a selfie to use as their lock screen (which is how we tell everyone’s iPads apart when they’re laying around). See? Told you they know how to do LOADS of things already!! They did a great job of following the directions, talking to each other when they needed help (I had to encourage this with some friends, as they are still learning that I am not the only one with the answers! ), and sharing things they found out with the rest of the class. These images will become the Home screen on their iPads for now. Check out some of our creations! 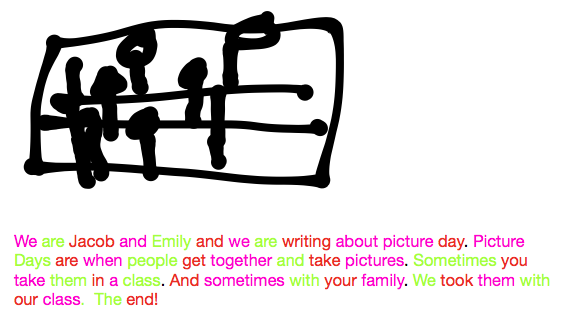 Guest Authors: Emily and Jacob–Picture Day! 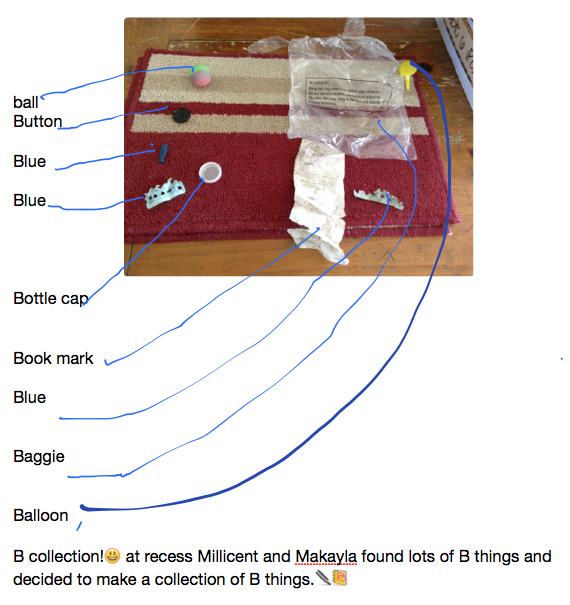 Guest Authors: Makayla and Millie–“B” Collection! 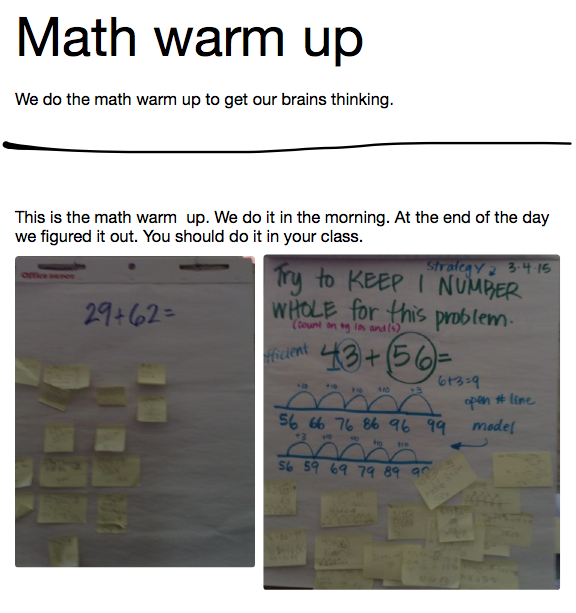 Guest Authors: Landen and Nate–Math Warm-Ups! 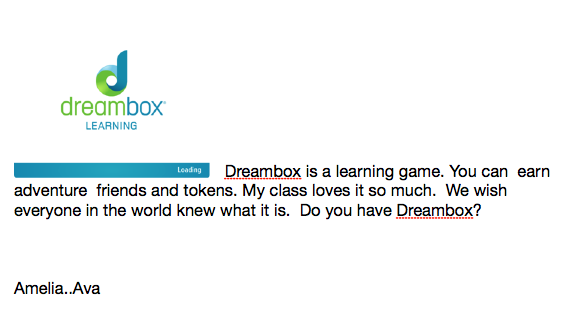 Guest Authors: Ava and Amelia–Dreambox!